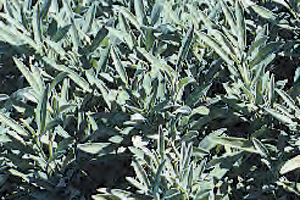 Site: Sage likes full sun with a light, dry, alkaline, well drained soil. Growing: Plant 18 to 24 inches apart. Prune frequently to attain bushy plants. 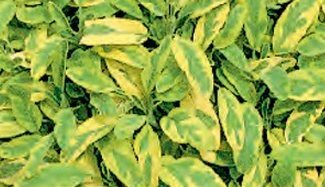 If leaves begin to yellow, roots need more space. 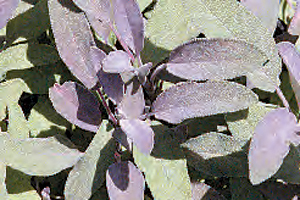 Sage can be grown indoors if you have enough sun. Lightly prune plant back after flowering in June. 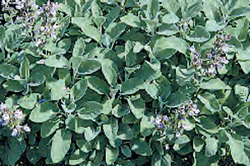 Common sage is a semi-hardy perennial that grows to 2 feet high, depending on variety. 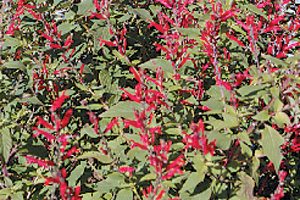 Other varieties include broad leaf, clary, and pineapple sage. 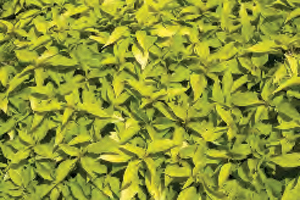 Harvesting: During the growing season, singular leaves can be picked straight from the plant after it has reached eight inches. 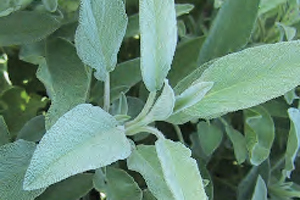 Culinary Uses: Sage has a very strong flavor. Its main role is to accompany onions in the traditional stuffing for poultry. It is also a wonderful accompaniment to veal and pork and goes well with sausage, kebabs and some bean and tomato dishes. Be careful not to use too much. It can be overpowering.